Your favorite pizza-loving heroes return in an epic new adventure loaded with wall-to-wall laughs. 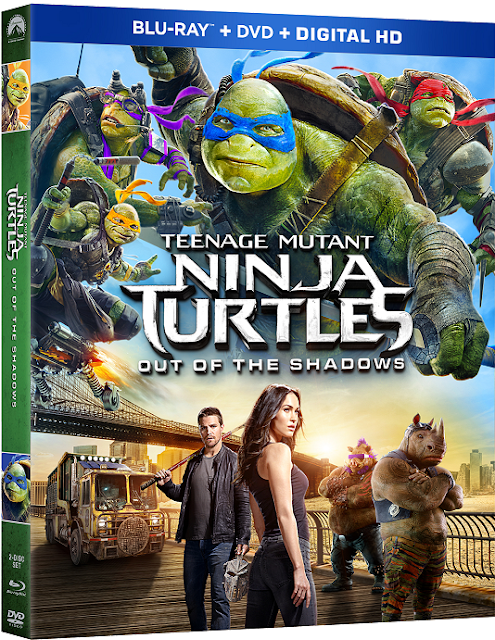 Teenage Mutant Ninja Turtles: Out of the Shadows comes to Blu-ray Combo Pack, Blu-ray 3D Combo Pack, 4K Ultra HD Combo Pack, DVD and On Demand on September 20, 2016 from Paramount Home Media Distribution. The Heroes in a Half-Shell also will be available in a limited edition two-movie Blu-ray giftset with collectible metal lunchbox. The movie debuts two weeks early on Digital HD September 6. The All-New Adventure Arrives on Blu-ray Combo Pack and DVD September 20, 2016 with Two Reversible Turtle Masks in All Four Colors! HOLLYWOOD, Calif. – Raphael, Leonardo, Donatello, and Michelangelo are back to battle bigger, badder villains, alongside April O’Neil and a newcomer: the hockey-masked vigilante Casey Jones. After supervillain Shredder escapes custody, he joins forces with two dimwitted henchmen, Bebop and Rocksteady, to unleash a diabolical plan to take over the world. As the Turtles prepare to take on Shredder and his new crew, they find themselves facing an even greater threat with similar intentions: the notorious Krang. 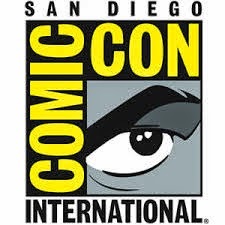 Hailed as “fun from start to finish” (Brian Medina, Movie Pilot), TEENAGE MUTANT NINJA TURTLES: OUT OF THE SHADOWS stars Megan Fox, Will Arnett, Laura Linney, Stephen Amell, and Tyler Perry in the live action film that is fun for the whole family. 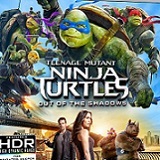 The TEENAGE MUTANT NINJA TURTLES: OUT OF THE SHADOWS Blu-ray, Blu-ray 3D and 4K Ultra HD Blu-ray Combo Packs include more than 40 minutes of action-packed bonus content. Peek under the shell at the film’s eye-popping special effects, take a look inside the Turtles’ tricked-out van, go behind-the-scenes to explore the Turtleverse and much more! The film additionally features a Dolby Atmos® soundtrack* remixed specifically for the home theater environment to place and move audio anywhere in the room, including overhead. Plus, the DVD and Blu-ray Combo Pack comes with reversible Turtle Masks in all four colors, for a limited time while supplies last. The TEENAGE MUTANT NINJA TURTLES: OUT OF THE SHADOWS Blu-ray Combo Pack will also be available in a collectible metal lunchbox that includes the Blu-ray Combo Pack of 2014’s Teenage Mutant Ninja Turtles, Digital HD copies of both movies, and the two reversible masks. Did You Catch That? Turtle Eggs!